Police have been called to Aberdeen University this evening after a group of protesters threw glitter over former MP George Galloway. 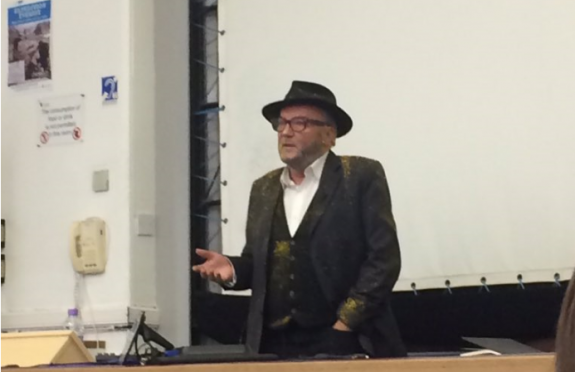 Mr Galloway was giving a talk in the university’s New King’s building when a number of protesters in the front row threw glitter at him. Student Ryan Houghton, who was in attendance at the event at the New King’s building at Aberdeen University said: “Basically we had six individuals who were sat at the front row after having security checks done. “But as George started speaking they stood up and lobbed three jars of glitter over him. “He was covered, and students intervened. “He just continue as normal, dusted off the glitter and kept going.